Want to transport gas cylinders safely yourself? This is how it should be done. 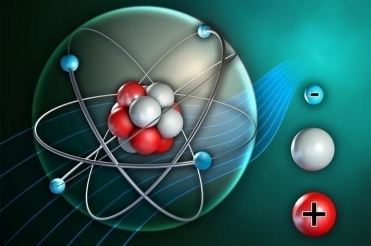 More and more laboratories are carrying out analytical measurement on isotopes, not surprising considering that isotope analysis can often offer unique insights. But, there’s a catch. 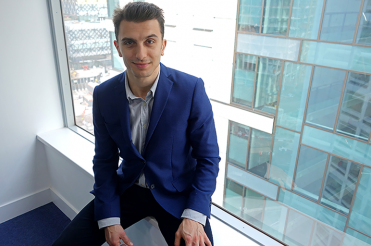 Efficiency Project Lead at Air Liquide UK, Francesco Collini, talks about life in the VIE Program, working internationally, turning dusty annual report figures into sales and marketing tools, and the importance of shared values. There are quite a few things to bear in mind when considering the purchase of a Laser Beam Melting (LBM) machine. Such a purchasing decision is always complex because the choice of a particular machine often involves the choice of a specific ecosystem as well. Rejdi Balluku (29) is employed as a real-time engineer at the Air Liquide Operations Control Center (OCC) in Brussels. In addition, he has already worked in the European strategy department in Frankfurt as part of the ALLEX project. His second ALLEX mission will soon take him to Paris, where he will analyse the industrial management systems used in France, Spain, Portugal and Italy. 3D printing – what’s the added value for your business? 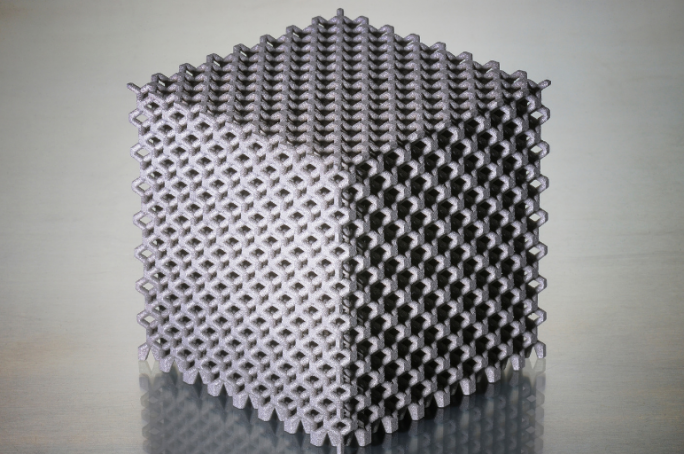 3D printing – also known as additive manufacturing – is rapidly gaining traction. One reason is that the technology is now mature enough to be used for series production. As a result, 3D printing is on the agenda of an increasing number of companies. Anyone working with compressed gases will already know that safety is top priority. The new Code of Practice (CP47) encapsulates what needs to be done, but where can we go to learn more about it? Air Liquide UK is partnering with leading gas safety training agency PGS, Proactive Gas Safety, to offer accredited specialist courses aimed at giving busy users in a whole range of situations the information and skills they need. Air Liquide customers can choose from several options for the delivery of industrial gases. The most common choices are packaged gas, which is supplied in individual cylinders or cylinder packs, and bulk on site. For the latter, a fixed gas tank is installed at the customer’s site. Having options is critical for any industry, but how do you decide whether to opt for packaged gas or bulk on site? VIE stands for Volunteer for International Experience. It is a programme for young graduates set up by the French Government. The aim is, on the one hand, to encourage French companies to develop their activities abroad and, on the other, to give graduates the opportunity to pursue an international career. Read more about it here. Packaged gas - the supply of industrial gases in gas cylinders and bundles - has been and continues to be one of the most important sectors of Air Liquide’s business. Chris Lewis Facility Manager at the Air Liquide site in Coleshill (United Kingdom), explains how the cylinders are filled safely and accurately. Why use CO2 in Wastewater Treatment Plants? Increasingly, governments are promoting alternatives to sulphuric and hydrochloric acids in wastewater treatment plants, due to the significant safety risks associated when using these aggressive acids. CO2 proves to be an attractive alternative and has a superior capacity to neutralize wastewater acidity compared to the alternatives. What’s more, CO2 does not entail health risks, it is easier to use, more sustainable and more economical. Flexitarism has already had a notable impact on UK food producers and retailers. Whilst under 4% of the UK population are Vegetarian there has been considerable growth in the number of consumers looking to reduce their meat consumption; with sustainability often being cited as a key reason for changing habits. The indications are this shift in consumer habits is one that will continue to grow in the coming years. Renee Schellekens – Sales Representative for the food and pharmaceutical sector at Air Liquide in the Netherlands – started working for the company a year ago as part of the ALLEX programme. Air Liquide supplies gases, services and solutions for SLS, DLMS (SLM) and EBM printing to customers active in the aircraft industry, the automotive sector, dentistry and surgery. Governments and consumers continue to make increasing demands – as indeed they should – with regard to the application of hygiene in the food industry. Air Liquide’s latest Cryo Cabinet generation – a series of high-tech cryogenic cabinet freezers – introduces various innovative techniques to meet these demands. Just how pure do you want it to be? Choosing the right pure gas product for a laboratory instrument or application can be confusing. Air Liquide has simplified gas selection by reducing the variety of available gas grades down to two levels of purity: AlphagazTM 1 and AlphagazTM 2. VIE is open to young Europeans with a Master’s Degree. Through this international internship programme you can get started in 1 of the 80 countries where Air Liquide is located! Can you envisage a career at Air Liquide but unsure which department is right for you to develop? Air Liquide’s ALLEX programme is certainly something for you! ALLEX offers you the flexibility to discover all of your career potential and opportunities. The importance of a professional approach to hygiene in the food industry cannot be overemphasised. Even relatively minor shortcomings can have far-reaching consequences including serious illness and even death. Gas Cylinders play an important role in delivering high purity instrument gases into the laboratory. The handling and use of gas cylinders is, however, a distraction from traditional laboratory duties. 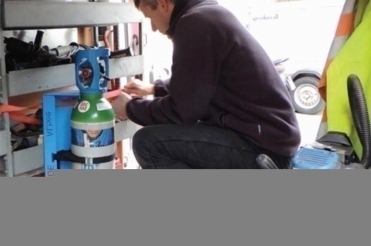 Managing gases can take time in order to know a cylinder contents when not connected and to isolate the supply when the work day ends or in an emergency.